Services for an asset investigation are available with IRS. 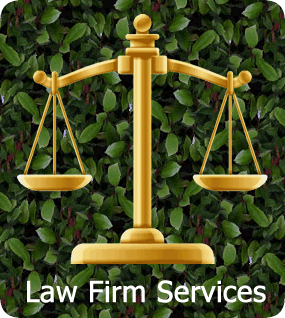 We offer skip tracing for assets at reasonable rates with superior results. Our asset tracing produces results that you can count on. Contemplating legal action, in the middle of a legal action or satisfying a Judgment are usually the three situations that prompt a Client to get an asset investigation. Asset investigation is more successful when performed by seasoned skip tracers with more than a decade of experience. There are many strategies debtors employ to hide assets such as land, vehicles, receivables, inventory, art and commercial equipment. There are many other tangible assets that also should be investigated. Seasoned skip tracers know the tricks and strategies debtors use to hide their assets. 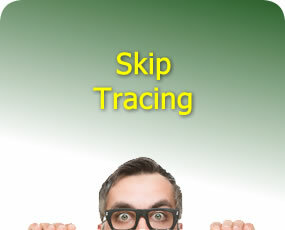 At IRS, we only allow seasoned skip tracers to work on your asset investigation. Debtors go to great lengths to hide their assets. If an individual or company knows bankruptcy is on the horizon, unsecured assets are liquidated or simply disappear. Moving assets like vehicles are very easy to hide. An asset investigation can save you a lot of grief, time and money when done prior to commencing legal action. Suing a delinquent customer and getting a Judgment does not guarantee you will get paid. In some instances an asset investigation will reveal the debtor has no exigible assets. While it appears on the surface that a debtor is flush with assets the facts may reveal that all their assets are secured by other creditors. In some cases a debtor simply does not have anything worth seizing or going after. An asset investigation costs a lot less than the costs of litigation only to end up with a dry Judgment. Often claims, facts or suspicions surface during a legal action that should be investigated. A standard debtor tactic is to stall out the legal action as long as possible. While stalling, they are liquidating their assets. The debtor tactic of transferring assets like property to a relative is another reason to stall. The more time that passes after an asset is transferred, the harder it is to prove fraudulent conveyance. When in doubt what is going on beneath the surface, it is a good time to get an asset investigation. A lot can happen between the time a legal action is commenced and when Judgment is obtained. Often a debtor will move and start a new life, leaving their creditors behind. In many cases they have built up unsecured assets by the time a client places their Judgment for an asset investigation. These assets may even satisfy the Judgment in full. There are numerous reasons for investigating assets. An asset investigation by one of our seasoned skip tracers separates fact from fiction. Whether you are a law firm, company or individual, IRS has cost effective asset investigations. Give us a call or schedule your free consultation on getting an asset investigation.